Have you ever spent more money on a piece of clothing than you really wanted? I can a think of a couple of times I did because I loved it so. And each time I got more than my money’s worth out of it as I wore it for years. This a story my Mother wrote about a outfit she purchased in 1941. She wore it for years and then my sister and I both wore it. The jacket now resides with my sister. My Mom in her indestructible snowsuit. “Mother, I just love this old jacket of yours that I am wearing. I hope it never wears out completely. Do you know whenever I wear it, someone asks me where I got the pretty jacket?” remarked Kathy. We both chuckled as I gazed at my lovely daughter it takes me back to the time when I was her age and size. 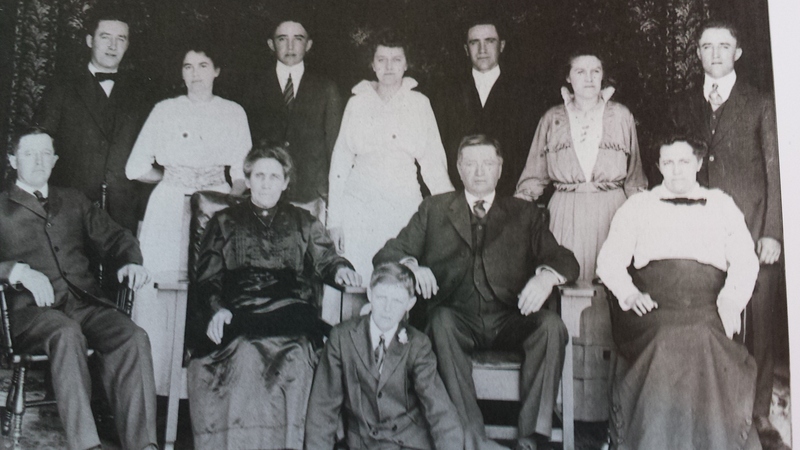 I had graduated from Sheboygan Falls Normal School in the state of Wisconsin. (This was in the era of one room schools). It was the fall of 1941. I would soon be starting my first year as a public school teacher. Between graduation in late May and late August I had earned my very first money waiting on tables at and expensive summer resort in Elkhart Lake, Wisconsin. I needed every cent of the money I had earned to buy clothes befitting a teacher. The most needed garment was something in warm outer wear to see me through the long, cold and snowy Wisconsin winter. 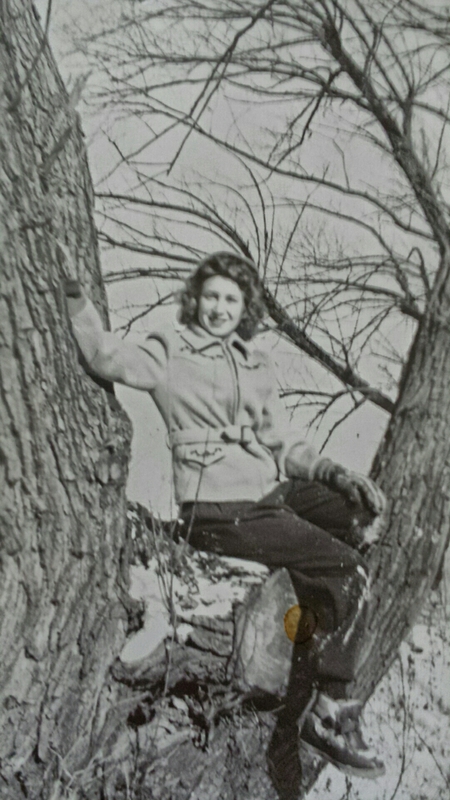 I had not earned enough money to cover all the clothes I needed, but my first priority had to be a 2-piece snowsuit. My Dad and I drove to Fond Du Lac one day. This was our closest big city and had many fine department stores. On the way I imagined the kind of outfit I would buy. It had to be serviceable and warm. I also hoped it would be pretty. I so loved pretty clothes and now I had my own money to buy them. It was a heady feeling. I trudged from store to store. I became more and more disheartened as I looked through the racks of snowsuits. This clothing item was going to get very rugged wear through snow to and from school besides I planned on sledding with my students on the hill back of the school. Why did all the snowsuits that were warm and serviceable also seem to be so devoid of all style. Only the price of $14.95 was right. I kept shopping. As I walked into one of the better stores, I saw “The Snowsuit.” It was beautiful and seemed to say, “Here I am. Just what you’ve been looking for.” The pants were made of dark green wool and the jacket of a soft, mint green. My favorite color! It had sleeves that were gathered to a knit cuff and tiny puffs at the shoulder. A full length zipper ran down the front. The front of the jacket had a yoke on which were embroidered pretty flowers. A matching belt completed at the waistband completed the look. I was afraid to look at the price because I knew it was no $14.95 model. I was right it was $19.95. Five dollars was a lot in those days. I turned around and went back to the store with the warm serviceable garments. They looked positively ugly now. I fairly flew back to the store that had the green snowsuit. I took it into the dressing room and tried it on. Just I imagined it was the prefect fit and made me feel beautiful all over. Did I dare buy it? My common sense told me the virgin wool material would be warm but the mint green color was not exactly what one would wear to carry wood to the school furnace to day nothing of the dirty job of carrying out the ashes. I just couldn’t bring myself to part with the green snowsuit. I decided to throw caution to the wind and buy the one I liked. After all, I had earned the money myself, hadn’t I? When I got home I showed the purchase to the family. They all hit the ceiling. My brother who was 25 said I showed no sense at all by putting beauty before serviceability. I shrugged it off because he wasn’t known to ask for my opinion when he bought something. My Dad yelled something about my foolish purchase. Even, Mother who always taught me one good garment was worth two cheap ones thought I had made a big mistake. Ordinarily, all that negativity would have crushed me. This time it didn’t. I simply loved my snowsuit and nothing would detract from that. I wore it happily for seven years. The pants wore out but the jacket just kept going on. It kept me warm. When Verle and I came west so did the snowsuit jacket. During the years the four children grew up it resided in the cedar chest except for the days when Longview had snow. Then I would wear it and help the children build snowmen. It still kept me warm. This entry was posted in Uncategorized on October 30, 2014 by kwriter13. 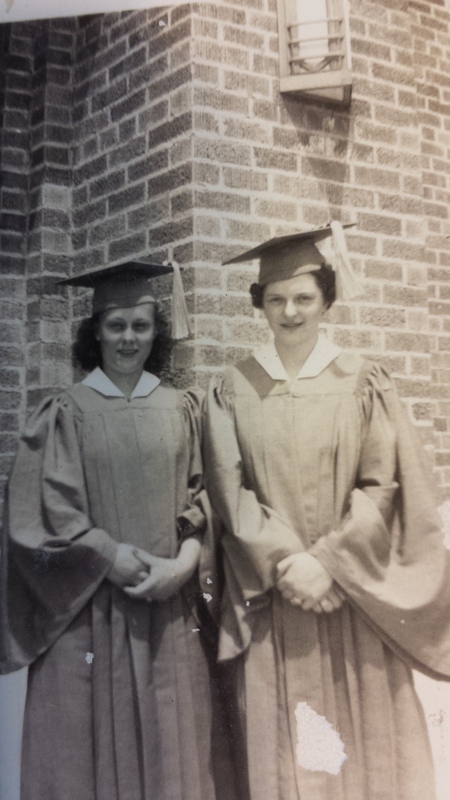 My Mom and Aunt Irene on the day they graduated from High School. I wonder if they had any idea they’d soon be sister-in-laws? This entry was posted in Uncategorized on October 16, 2014 by kwriter13. 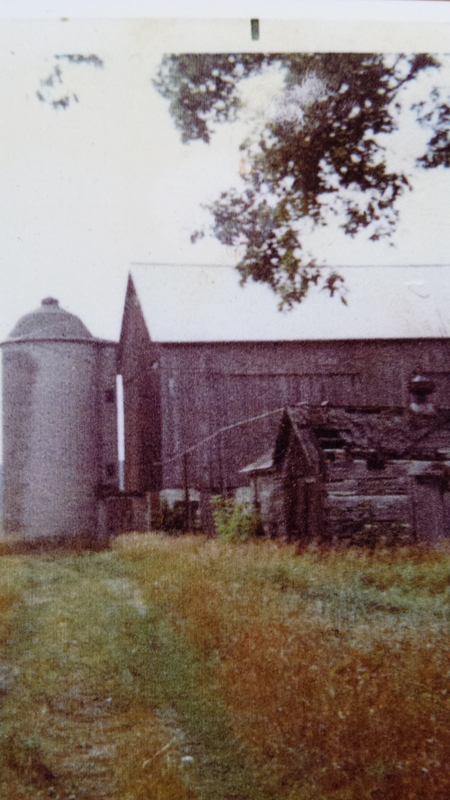 The old Meyer barn photographed in 1968. This entry was posted in Uncategorized on October 2, 2014 by kwriter13.